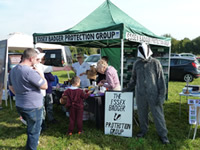 The Essex Badger Protection Group is made up of a group of voluntary members throughout Essex whose common interest is the protection of badgers. 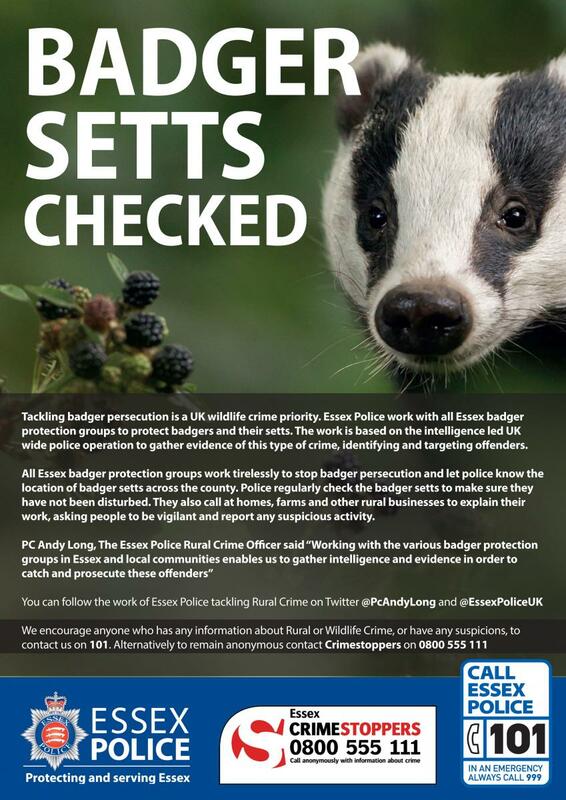 We work in close co-operation with the local police and carry out regular patrols to monitor badger setts. 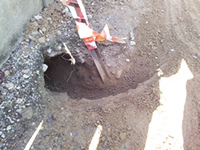 Other activities include conducting area surveys of the badgers' habitat when threatened by highway and building projects, the rehabilitation of sick and injured badgers and giving advice regarding badgers in gardens. 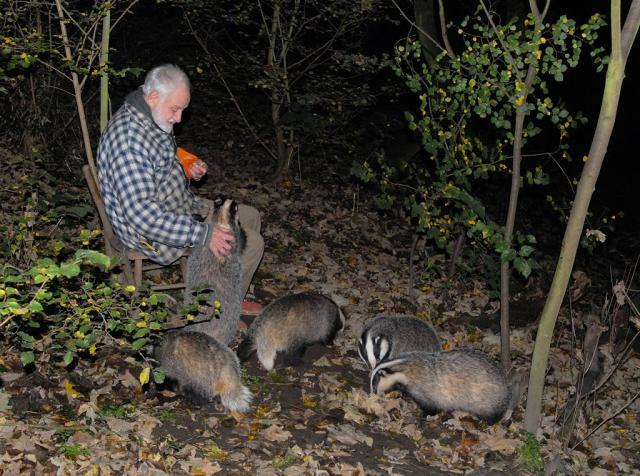 What the Essex Badger Protection Group does. 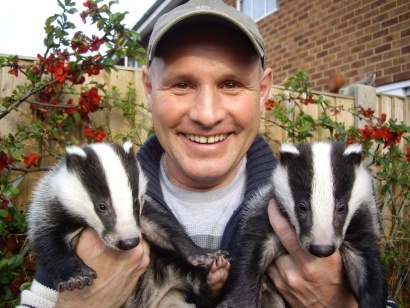 Find out more about one of Britain's most iconic wild animals. 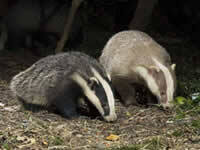 Read the latest news about badgers and our group. See when and where we are holding our next events. 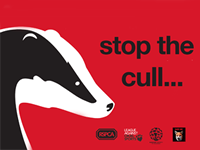 Get advice about badger related problems.